Your tracks will be assessed individually and then processed using the Worlds very best in High End Analogue EQ and Compression to create the ultimate professional sounding master. Your music will travel through Valves, Transformers and Class A amplification! This analogue chain adds warmth, width, clarity, punch & impact, depth and a unique tone to your music which can not be created in the digital domain using plug-ins. This is a highly recommended service. £30﻿﻿ *WAV delivered via the internet. Your tracks will be assessed individually and then processed using carefully selected digital tools including some of the World's best software mastering tools and award winning emulations of classic hardware. 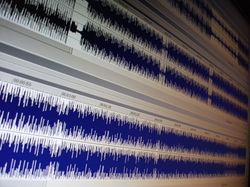 There is no default mastering chain used on your project at Dynamic Mastering Services. £22﻿﻿﻿﻿﻿﻿﻿ *WAV delivered via the internet. 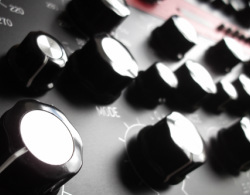 If greater control of your project is required stem mastering can be recommended. 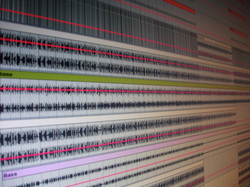 The stems will be mixed and the end result will be a completed mastered track. £55 *WAV delivered via the internet. £85 *WAV delivered via the internet. £115 *WAV delivered via the internet. Discounts will be applied to 5 tracks or more. Most projects of this nature only contain a few stems. Please contact if you have any queries. Red Book compliant master burned with a Plextor drive onto high quality Taiyo Yuden CD-R media and then error checked. The CD contains PQ Codes including your ISRC, CD-Text and UPC/EAN (Barcode). You will also receive a Cue Sheet. A vinyl pre-master recorded with the same processing as the digital version but optimised for a vinyl cut. ​Per Vinyl Pre-Master P.O.A (as will depend on project) 24bit 96kHz delivered via the internet. A DDP Red Book compliant image is a series of data files that can be read by a CD replication plant. This is the most reliable way to send your CD information for replication. The DDP image contains PQ Codes including your ISRC, CD-Text and UPC/EAN. ​Per DDP Image £22 delivered via the internet. High quality MP3 with ISRC and Artwork embedded. Per MP3 £5.50 delivered via the internet. With the transition to digital sales of music the ISRC has become increasingly important as it can reliably identify recordings for collecting royalties and sales reports. ISRC can also help prevent against piracy. MP3s are ideal for promotion and sending to radio stations as they contain all of your information. Broadcasters and webcasters use ISRC in their reports of the usage of recordings with regards to collecting royalties. Find everything you need to know about ISRC.